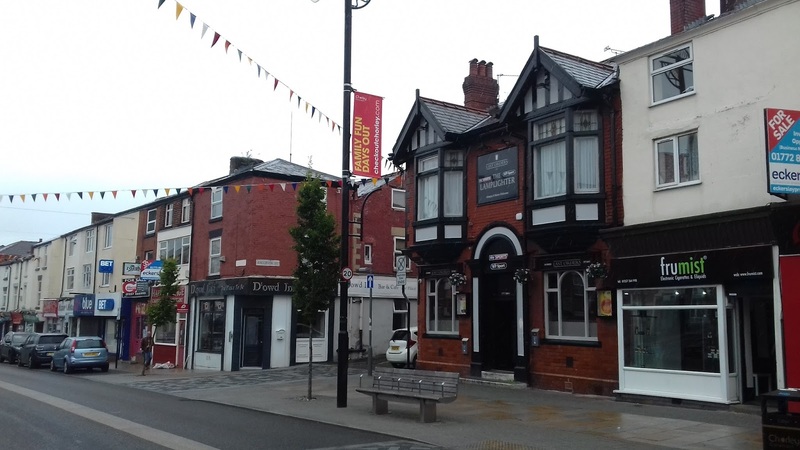 Standing on the corner of Anderton Street and Market Street across from the old Joiner's Arms aka Lamplighter the D'owd Inn opened in the Autumn of 2016 and was another addition to the Chorley Micropub scene. 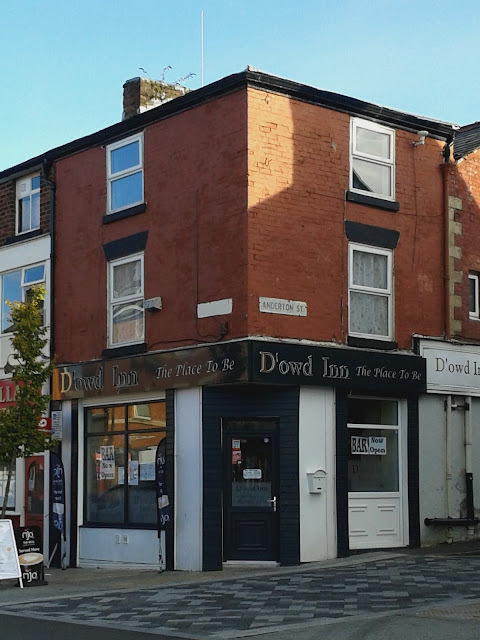 The Inn's name was derived from the original director of the D'Owd Inn, Andrew Dowding but it appears the licence may have come into difficulties in July 2017 following a hearing in the Magistrate's court. 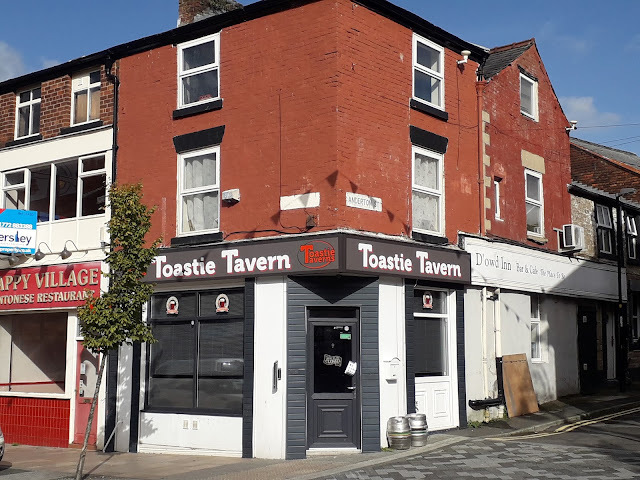 It was to close shortly afterwards in the summer and reopened in September 2017 renamed the Toastie Tavern run by Daniel Hull, previous landlord of the Cockt'Ale House in Eccleston. In 2018 the tavern was taken over by Daniel Vickers but in February 2019 the premises are again empty awaiting new tenants. Whilst not previously used as a pub to my knowledge it is sandwiched between two premises that have. Last Orders (previously the Joiner's Arms) is on the opposite corner of the junction with Anderton Street and next door is the Happy Village Cantonese restaurant (closed in 2017) that was also a pub, the Prince Albert way back in the mid 1800's. The property has formerly been the home of Ca’Maria Restaurant, Flames Nails & Beauty, Sleepeasy, B H & A C Whalley Textiles, Elliott's Rational Kitchens and jumping a few in between, Elizabeth Mansley's Rope and Twine Makers (1824).